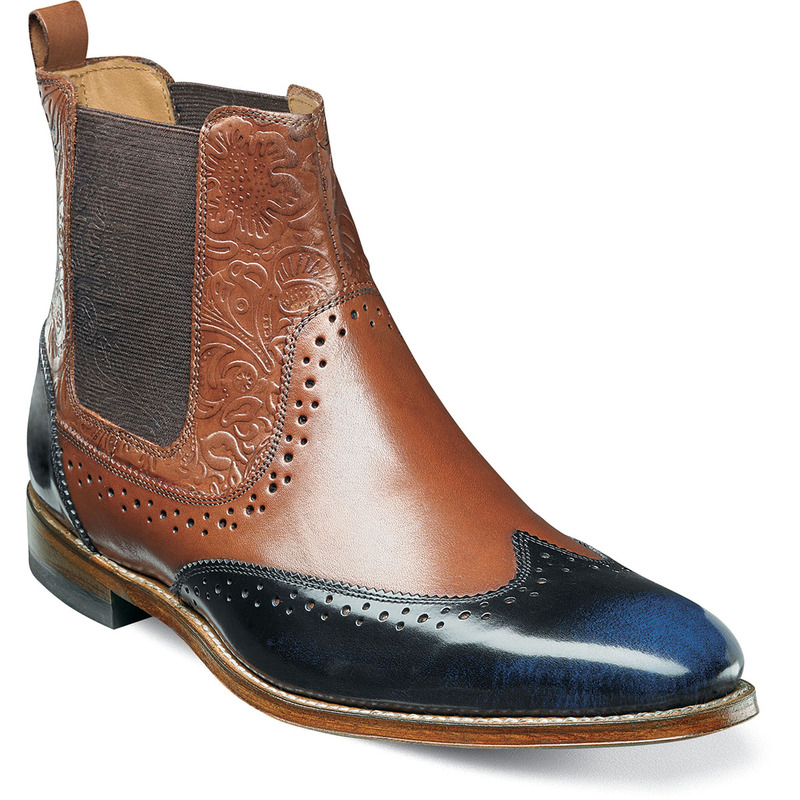 The Stacy Adams M2 Wingtip Chelsea Boot has it all. This lightweight wingtip chelsea boot features a combination of floral print and smooth leather, or floral print, smooth, and brush off leather that gives the shoe its unique character. The M2 is a wingtip chelsea boot. The upper is floral print and smooth leather or floral print, smooth leather, and brush-off leather. The insole is fully cushioned. The sole is leather with a Goodyear welt construction for comfort and durability.